In March of this year, I received an email from Jethro Soutar – a translator of Portuguese and Spanish books into English – about his latest translation, The Ultimate Tragedy by Bissau Guinean writer Abdulai Silá. According to Soutar, it was ‘the first ever book to be translated into English from Guinea-Bissau’. A couple days later, I posted about this very exciting book of love and emerging political awareness in a countrybeginning to challenge Portuguese colonial rule. Less than a week later I received an advanced copy from Dedalus Books. 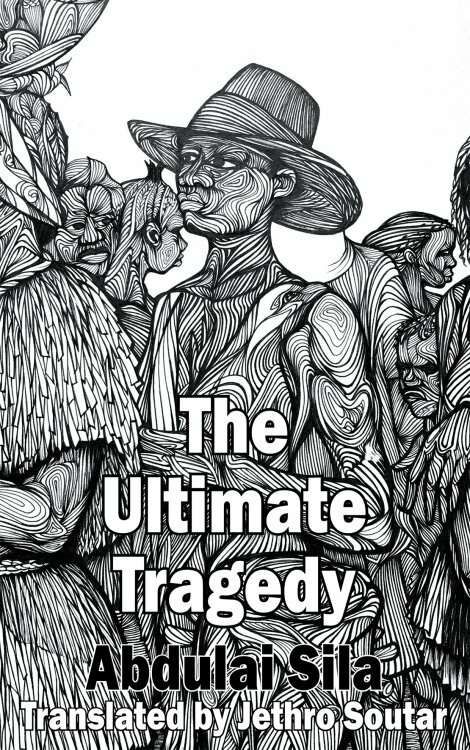 The Ultimate Tragedy was published in April and in a few days - July 2nd - the book will be launched at Africa Writes. A few weeks ago I had the absolute pleasure of interviewing Abdulai Silá ahead of this book launch at the literary festival. 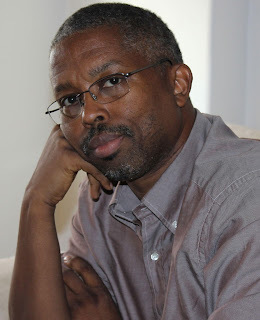 The first thing to know is that while Silá’s novel may have been published a couple months ago in the UK, in his home country of Guinea-Bissau, his books have been out for over two decades. Born in 1958 in Catió, Silá explains that he is originally from the South of Guinea-Bissau – north of Conakry where his father is from. Silá is an engineer by training and profession - ‘I got a Masters degree in electrical engineering and then I changed my career. After 5 years working as an electrical engineer I moved to computing.’ He owns a ‘small company servicing computers and providing internet service’ which he set up in the 1980s with one of his brothers. 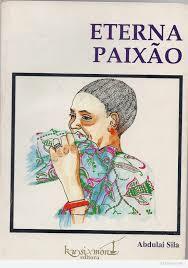 Abdulai Silá is also a writer, whose 1994 novel Eterna Paixão was the first novel published in Guinea-Bissau after independence. 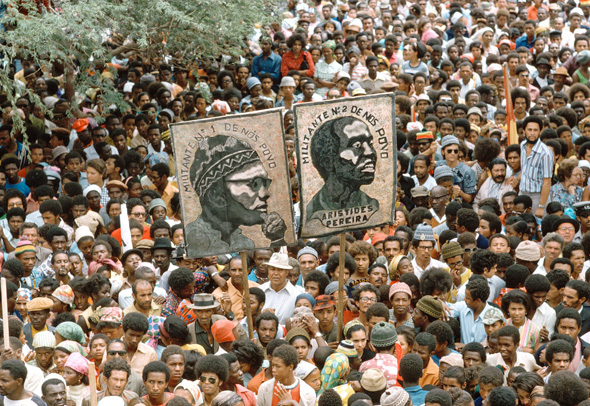 There was a liberation war in this country, which started in 1963 – fighting Portuguese colonialists, so there was a lot of fighting – and ended in April ‘74. One day in February ‘71 one of the bombs hit my parent’s house [in Catió]. One of my brothers – the one who was my best friend - was hit and he became paraplegic. He was about seven years old and he lived seven more years – he died after Independence. From the date he [Silá’s younger brother] got injured [in ‘71] we spent a lot of time together. I used to talk to him, so when he died I had nobody to talk to [anymore] about things that mattered to me, so I started writing a kind of journal everyday [and] I was writing to keep talking to him. I was explaining to him what happened. It was in June ‘76 – there was a massacre in Soweto and a lot of young people were killed. The war ended in my country in ‘74 and fighting against the oppressors was very present on our minds. When that massacre happened in Soweto we decided, among other things, to write a kind of newspaper, magazine – a journal mural – that we put on the wall. I wrote a text that my teacher liked a lot. And most of my friends too who read it at the time. I remember my teacher telling me, ‘you have good writing skills. You should keep writing’. I was writing my journal almost everyday and that information from one of the teachers … if the teacher says that I have good skills, then it must be true. In telling, what he explained ‘is a long story’, it became apparent that Silá also has an incredible memory - remembering very specific events like they happened very recently, even down to their dates. This I found remarkable. ... dreams … things I just imagined would happen after Independence. Things we dreamed of and weren’t happening the way we imagined it – the way we thought it would be. I spent a lot of time observing what would happen in people’s lives. I was getting a lot of information – some real and others just fiction. And I came to a point where I said, ‘Let’s put all this in writing’. So I wrote my first novel that I never published. It was too personal, but I learned a lot writing that novel. It was back in 1982. 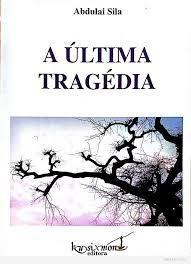 Silá did not reveal the name of this book – and being respectful I did not push when he explained that it was too personal – but since writing that novel, Silá has gone on to publish three novels, which he sees as a trilogy: Eterna Paixão (1994), A Última Tragédia (1995) and Mistida (1997). Eternal Paixão ‘was mainly about disappointment with the political regime’ and A Última Tragédia 'deals with the colonial period'. Although as Silá clarifies Eterna Paixão was the third book he wrote – even though it was the first one he ever published. A Última Tragédia was the second book he wrote – in 1984. Still publishing his novels were not easy. It was hard for me to get published because I decided not to join the youth organisation, the party and so forth. At that time of the revolution – in a single party regime – everyone had to be member of the youth organisation otherwise you would be kept out. But I kept writing because I liked doing it, even though I couldn’t publish. In 1994 I joined two other colleagues and we set up a small publishing house and we started publishing our own books. Before that - before 1994 - everything was subject to censorship. When we started the democratisation process in 1992 [which ended in 1994], we had the opportunity to exercise freedom of speech, which means the possibility of publishing whatever you want. This led to the creation of the publishing house, Kusimon, after the political liberalisation. Yes, Silá is also a publisher. Kusimon has a double meaning. On one hand, it is the family names of its three co-founders: ‘ku is for Kudawo, si for Silá, mon for Montenegro’. It is also Creole for ‘with your own hands’. ... because we had no experience, but we were very excited about it and weren’t sure that this window would be open forever. Today, Kusimon doesn’t publish as much – owing in part to the death of one of the founding members a couple years ago, but Kusimon published all three of Silá’s books and we spoke at length about A Última Tragédia (or The Ultimate Tragedy) – the background to writing it, the main characters and how he felt about it being translated into English. 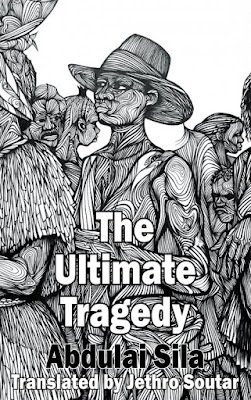 This [The Ultimate Tragedy] is the second novel I wrote and I did it in a moment that was very special. We had a coup d’état in 1980 and things started to move in a direction that was … a very bad direction. People started to have a lot of trouble, a lot of people got killed, so I was worried about the future of this country. At the same time, I was very disappointed with our lack of success. Some people might say we (my generation) weren’t doing enough. And they might question the meaning of becoming Independent. It makes no sense if we are not able to make it better. So when I wrote ‘Última Tragédia’, it was also with the intention to remind people, what colonialism was all about. It was not easy. It was not peaceful. It was with a lot of mistreatment and injustice [of people] … a lot of humiliation. This is the bottom line. … mixed feelings. As a citizen, I am glad that we have a breakthrough [from] not having a single novel translated into English. I think it was 2000, someone wrote to me asking for information about books - written or translated fiction - in English and we ended up finding out there were not a single novel from Guinea-Bissau published in English. It makes me feel a little bit unhappy about the thing. At the same time, I think it is something I should be proud about. I also asked about how the opportunity to get it translated came about. Well, 2-3 years ago Soutar contacted Silá about his interest in translating his novel into English: ‘I told him go ahead, don’t worry about whatever, just translate it and see if it can find publisher.’ I also wanted to know a bit about the translation process especially when Silá tells me that The Ultimate Tragedy is not written in ‘common Portuguese’. It used a lot of African words [Creole, Fulani, Mandinka] and expressions so it was not an easy task for a non-Guinean to read it and understand … and I had no section to [explain it] - a kind of dictionary. Some words you could not find in a Portuguese dictionary so I had to work very close with him [Soutar] to explain the meaning of some words and sentences. Most of the people in this country (about 80%) speak Creole, but my mother is Fulani and she only spoke Fulani to me. My father is Mandinka and I learned Mandinka too. So there are words and expressions that I use that come from this language. It [Mistida] was adapted in Creole, but it comes from Mandinka. 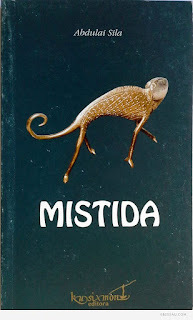 Mistida has several meanings. It means business. It means friendship. It [also] means whatever you have to take care of you can call it. It all depends on the context [in which it is used]. … as part of my project to leave a sort of testimony. One of my intentions is to bring to people’s memories what that time [the colonial period] was like. It was a tough time, but we overcame it. Today, we have been having tough times again in this country, but based on the knowledge we have from our history - our past fighting and resisting - we should feel that all the trouble we are having is just part of what we are fighting during all our history as a people. It’s [The Ultimate Tragedy] kind of an introduction to helping people understand that we overcame a lot of things. So this book is remembering a little bit of the past. In remembering the past, The Ultimate Tragedy begins from the perspective of Ndani – a woman who is sort of cursed, and who leaves her village to find work as a domestic worker in the homes of the Portuguese colonialists in the capital. It was during our interview that I found out Ndani is not a real name. Silá laughs saying to me ‘this name doesn’t exist.’ But why invent a name? … because I did not want to have anybody thinking it was their story. It was so similar to [the experiences of] so many people that a lot of people could say I am talking about their history. I didn’t want that to be seen that way. Beyond inventing Ndani’s name, Silá also did not give names to the Bissau-Guinean characters in the book, ‘as you see the professor has no name, just professor’. For a similar reason – he did not want any one person to think it was about them specifically. People of my generation we witnessed the end of an era and beginning of another one full of hope, [but] after we became independent, we failed. Most of the things that we believed in, and we took as obvious simply did not happen. So one of the missions, let me call it mission, of people of my generation is to transmit some sort of hope. Make people believe that there is still room for hoping in the future. We may be in a very complicated situation. We may go through a lot of undesirable situation, but after all we need to keep our hope alive – not for ourselves but for the younger generation. It is why most of my characters, they show a lot of hope in their day-to-day lives. They may be having a lot of troubles, difficulties, but hope should always be present. Ndani believed in love, she found someone she could love and got love from. This is my view of life. Trouble, yes, but always hope! There was a teacher - who is the father of Amílcar Cabral - and that teacher taught his son how to materialise these testaments. So the Teacher [in The Ultimate Tragedy] actually played a role similar to the one that the father of Amílcar Cabral played. One of the things Cabral taught us is never mix the colonial power - the Portuguese colonial power - with the Portuguese people. The Portuguese people as a people are our friends. We have to fight the system. The system is oppressing us, but we should differentiate these two things. One is the system and another is the people. He [Teacher] was motivated to do his job, but he had to confront his students who kept asking him about real life. You see the conversation he had with his students, asking him to tell them about the things they see - not only things that are in heaven. So they made him adapt. A teacher existed in Catió and most of these teachers left their family to become guerrilla’s to fight for independence. They were all educated by (mostly) Italian priests and at a certain moment you start seeing reality - not only what you are taught. A lot of politicians who came into power after independence, they were [also] all taught by priests. They went to Evangelic or Catholic church - they were educated there, but what happens is that art a certain moment, they realise that one thing is what they were taught and another is what they were seeing. Colonialism in Portuguese was particularly violent, and so ‘it was easier to become conscious and see things the way they should be seen’. All Dona Deolinda wants was to have people [Africans] capable of reading the Bible and taking over the mission. One of the conversations she had with one of the ladies – ‘You cannot love God, if you don’t understand’. Towards the end of our call, Silá explains that he has been writing and publishing every three years. These include a couple of plays – one of which was inspired by Macbeth and is banned in Angola, ‘because they thought it is too close to what the president has been doing’. ‘Really!’ I exclaim, to which Silá laughs, ‘I’m not kidding, okay … if you Google the play you will find a lot of interesting things’. And Google I did! You know, I am committed to this country and to Africa in general. I’m of the generation that witnessed Independence, lived under colonialism and then had the privilege to witness the very important and unforgettable moment. People cannot imagine what it is like being independent. Not being subject to humiliation by the colonialists. To be in your own country and to be citizens of your own country. So this is what moves me. I have a passion. Fighting for the improvement of … to make it simple, development of Africa in general.